Do you want to know the best places to find wild Tigers? Look no further… the largest population of tigers in the wild is in India. The Royal Bengal Tiger, an endangered species (Panthera Tigris Tigris) are native to the Indian sub-continent and India is home to 1706 (the last census count in 2011) of them. Project Tiger, a scheme for Tiger conservation was implemented in 1973. Under this scheme, many of the tiger habitats in India were declared as tiger reserves. These tiger reserves form a part of the Wildlife Sanctuaries across India, where one can hope to get a glimpse of this remarkable species. Here is part 1 of a comprehensive list of some of the Tiger Reserves in India, along with their location and current tiger count. These should definitely be on your travel radar if you want to see Tigers and other wildlife in India. 47 to 71 based on 2010-11 census. Chital, Sambar, Barking deer or Muntjac, Chowsinga or Four-horned antelope, Nilgai or Blue bull, Indian Gazel or Chinkara Leopard, Dhole, Wolf, Hyena, jackal, Wild boar, Sloth bear, Common Langur, Rhesus monkey are found at Bandhavgarh. The park also has about 242 species of birds and a few reptiles. The sensual sculptures at Khajuraho are worth a visit. The glittering Marble Rocks at Bhedaghat are also quite famous. 354 to 411 tiger present in Karnataka state based on 2010-11 census. Leopard, Elephant, Gaur, Sambar, Spotted deer, Sloth bear, Mouse deer, Wild dog, Four horned Antelope, Panther, Crocodiles, Mouse deer, Python, Osprey and Pea-fowl are found. A trip to Bandipur can be combined with a visit to Nagarahole, Wynaad and Mudumalai Wildlife sanctuaries, which are close-by. Two or three days would be required to get the best out of even one of these places. The Mudumalai Wildlife Sanctuary is just 12 kms away from Bandipur. Ranganathittu Bird Sanctuary is another good choice for Birders. Mysore city and the Hill station Ooty are also easily accessible from Bandipur. 354 to 411 present in Karnataka state based on 2010-11 census. Good population of Elephant and Bison are present here. Sambar, Chital, barking deer, Chowsingha, Wild pig, Dhole, leopard and sloth bear are also found. There are also about 250 species of birds found here. Rameshwara Temple and Irruppu Falls are a favourite with tourists. 45 to 75 based on 2010-11 census. Chital, Sambar, Barasingha, Barking deer, Chowsingha, Gaur, Langur, Wild pig, Jackal, Sloth bear, Wild dog and Panther are found here. Amongst the reptiles, Python, Indian Cobra, Russell’s Viper, Indian Krait, Common Rat Snake, Common Skink, Indian Monitor, Fan Throated Lizard and Indian Garden Lizard are found. The Park is also home to about 300 species of birds. Bamni Dadar, the sunset point near Kanha is a favourite tourist destination. Another notable place is Kawardha palace which is a 3 hour drive from the reserve. Near the palace one can visit the ancient Krishna Temple, Bhoremdeo Temple, Mandawa Mahal & Madan Manjari Mahal. 53 to 78 based on 2010-11 census. Leopard, Jungle Cat, Leopard Cat, Striped Hyena, Wild Dog, Wolf, Common Mongoose, Sloth Bear, Pangolin, Spotted Deer, Sambar, Barking Deer, Blue Bull, Wild Pig and Gaur are found at Pench. Reptiles such as the Fresh water crocodile, Indian Chameleon, Common Krait, Indian Rock Python, Cobra and amphibians like the Indian Flap Shell Turtle, Peninsular black turtle etc are also found here. The Kanha Tiger Reserve is just 2 hours away from Pench and so a good option for Wild life enthusiasts. 190-239 based on 2010-11 census. Other wildlife that can be seen – Leopard, Elephant, Chital, Sambar, Hog Deer, Barking Deer, Wild boar, Langur and Rhesus Monkey are found at Corbett. Avi-fauna is abundant (over 500 species) consists of Peacock, Jungle Fowl, Partridges, Kaleej, Crow, Vulture, Parakeets, Laughing Thrush, Orioles, King Fishers, Drongo, Doves, Woodpeckers, Ducks, Teals, Storks, Cormorants and Seagulls. There are a lot of scenic destinations like Ranikhet, Ramnagar and Nainital near Corbett. Corbett Falls, Corbett museum and Jim Corbett’s house are also worth a visit. 106 to 118 based on 2010-11 census. Besides the Tiger, this park is a refuge for several endangered and near threatened species like the Hispid hare, Bengal florican and Black necked stork. Other Major Fauna found here are the Leopard, Swamp deer, Rhinoceros, Chital, Hog deer, Barking deer, Sambar, Wild boar and Ratel are found at Dudhwa. Dudhwa also has around 400 species of birds and 90 species of fishes. The Park also has reptiles like the Gharial, the Mugger and snakes and also around 15 species of Turtles. The major attractions near Dudhwa include the Taj Mahal at Agra, Lucknow city, the Stone Frog temple at Oyal and the Surat Bhawan Palace. 30 to 32 based on 2010-11 census. Leopard, Caracal, Ratel, Jungle Cat, Chital, Sambar, Blue Bull, Chinkara, Sloth Bear, Wild Boar, Jackal, Hyena, Common Langur, Common fox are found here. The Sawai Madhopur School of Art, where the local painters paint the Tigers of Ranthambore is a must-see. One can shop for local handicrafts, souvenirs and textiles in the markets of the nearby towns like Sawai Madhopur, Tonk, Karauli and Mahaveerji and can also visit the monuments at these places. 66 to 74 based on 2010-11 census. Leopard, Hyena, Sloth Bear, Gaur or Indian Bison, Rusty Spotted Cat, Ratel, Indian mouse deer, Chital, Nilgai, Sambar, Wild Boar, Four horned antelope, Wild dog, Indian Pangolin, Porcupine and the Flying Squirrel are found here. Tadoba is also a host to about 200 species of birds, owing to the Tadoba Lake. While at Tadoba, one can visit the serene Tadoba Lake, the ancient temple of Bhadravati, Jain temple, Buddha temples at Vijasan Hills. Nature lovers can also go for trekking to the small hill of Jamunbudi. The tiger population here is said to have more than doubled from about 6 tigers in 1997 to around 15 to 18 in 2010-2011. Mundanthurai, 45 km away from Tirunelveli town. 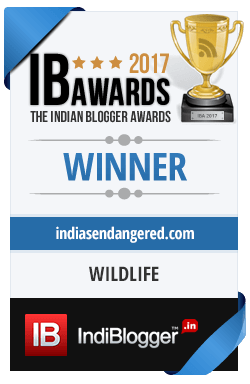 Leopard, Jungle Cat, Wild Dog, Elephant, Gaur, Sambar, Chital, Tahr, Wild Pig, Mouse Deer, Sloth Bear, Lion-tailed Macaque, Bonnet Macaque, Nilgiri Langur, Common Langur, Slender Loris, Malabar Giant Squirrel, Crocodile, Brown mongoose, Nilgiri Martin, Indian pangolin, Rusty spotted cat and the Brown palm civet. The Avi-fauna found here are Ceylon mouth frog, Grey headed bulbul, Great Pied hornbill, Great Indian Hornbill, Malabar Grey hornbill, Oriental bay owl and the Broad tailed Grass warbler. Reptile list includes King Cobra, Python, Monitor Lizard, Flying Lizard and the Pit viper. Inside the KMTR, you can also visit the Servalar Dam with a Hydro Power Plant built in 1987. 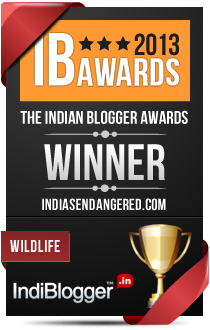 Established in 1983, is the largest tiger reserve in India with an area of 3568 sq kmts. Panther, Leopard, Sloth Bear, Wild Dog, Pangolin, Spotted Deer, Sambar, Mouse Deer, Black Buck, Chinkara, Chowsinga, Mugger, Python, Cobra and Peafowl are found here. The main attraction in Srisailam town is Mallikarjunaswamy Temple located on a 457 Meter hill. Many forts are also present along the banks of Krishna River. There are also many beautiful waterfalls like the Ethipothala, Pedda Dukudu, Gundam and Chaleswaram. In the next part, know more about other important tiger reserves of India. GK on wild life at it’s best. thnx for sharing it wid evry one. Handfull & Helpfull info for tiger Lovers….. Thanks Sunil. Hope to have more of such informative posts. Thanks for posting detailed information for Tiger watching. But now India government has banned Tiger tourism in India to save Tigers. Thank you Shazia. Apart from tigers, India is home to a number of other wild species like the Lion, the rhinos and the elephants and these sancturies can be visited. It is perhaps time for us to appreciate and respect the nature that is around us and then be literate enough to respect the natural laws of the jungle, before venturing into the forest. The ban in core area might get lifted…but the important question really is if we are able to save our national animal. Interesting and very informative compilation of facts. Thank you Satyender for visitng. Your site is excellent too. Do keep sharing your views with us. I think you should include this link in your post. Thank you Sachin for the list. Visitors will surely know it through your comment. You are welcome Atula.. 🙂 Kudos for maintaining such a nice blog. If you accept guest posts, I would like to write something for your blog. Thank you Sachin. Please refer to our contribute page for submission guidelines. Thanks a lot for detailed information, I know it takes a lot effort, hard work and time to write such wonderful posts. Can u suggest, in which wildlife sanctuary Tiger sighting is almost certain ? travelers asks this question very often. Thank you Lakhan for your comment. Some national parks that are well worth a visit for tiger sighting are Ranthambore, Bandhavgarh and Nagarhole. Hope this helps.